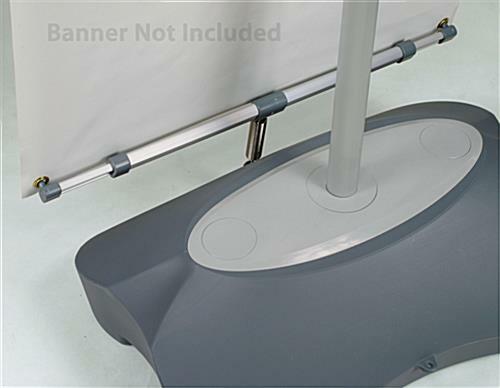 Water-Base Banner Stand - Height Adjustable 27" x 82"
Display your two printed banners on this water-base banner stand. 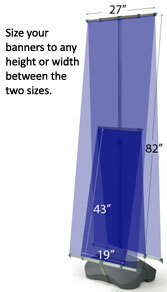 While this stand does not include graphics, it does contain everything else you need for a banner display. The aluminum horizontal bars extent and retract at the top and bottom of the display stand so that it can hold banners of different widths. 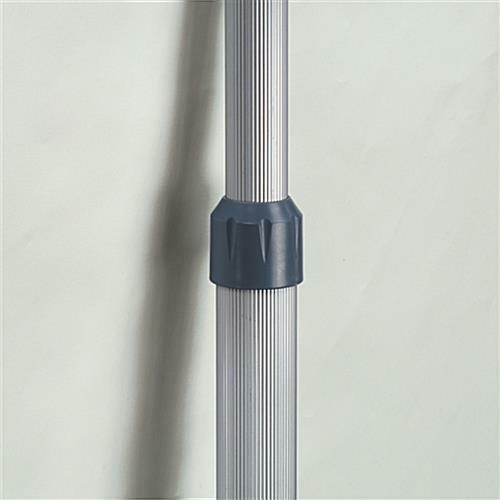 The aluminum middle pole also adjusts to the length that works best for your display. 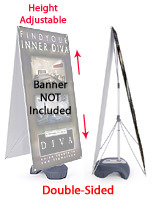 This banner stand can hold two separate banners, one on the front and one on the back, to help you better market your products or services. Use outdoors or indoors! 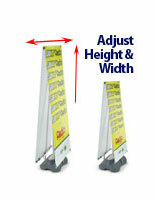 If you already own display banners, but need a new way to showcase them, this water-base banner stand is a top choice. 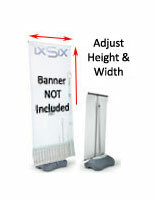 Instead of hanging your banners on the wall or from the ceiling, use this banner stand for a cleaner presentation! 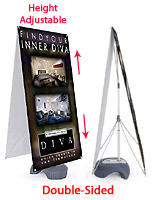 For this particular display stand, your banners should be anywhere between 19" to 27" wide to 43" to 82" long and should contain grommets at the 4 corners. 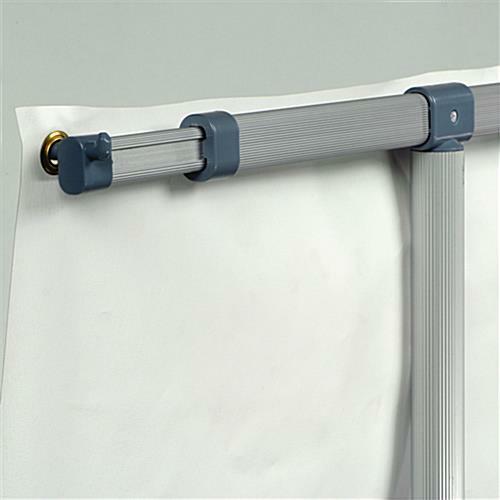 Your banners hook to the horizontal bars through the grommets and remain taut upon adjusting the bars and middle pole. High elastic springs connect the bottom bars to the plastic base, lessening the impact of strong winds.